Looking for cutest endless swimmer? You found one! You’re in deep water now! Join playful dolphin “Dolphy” on his remarkable journey through beautiful yet dangerous oceans! 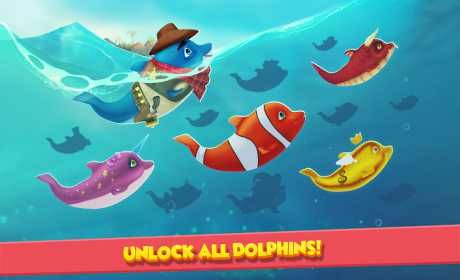 Dodge & dash underwater creatures to collect fish coins and unlock Dolphy’s friends: mysterious Mage, swift Ballerina, slower but elegant Gentleman and many others! Power-ups give you the advantage but are you better swimmer than your friends? Join this cute arcade game for new adventure in ocean! This water world game will entertain and relax you in your free time. Enjoy delightful visuals and relaxing sounds during the gameplay. It is easy to play, but will you be able to master it? CHECK IT OUT BY YOURSELF! 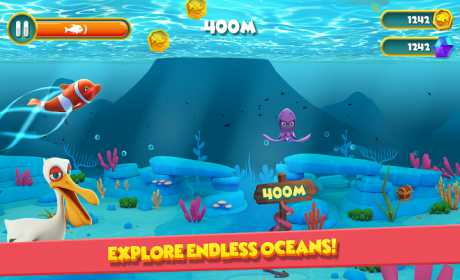 – DASH and crash ocean creatures! 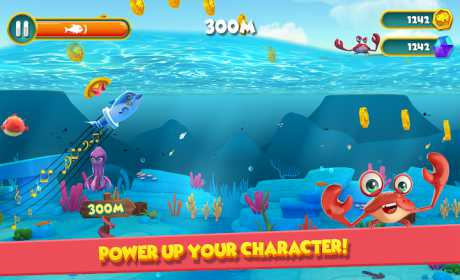 – EXPERIENCE eye candy underwater world with colorful characters and effects!